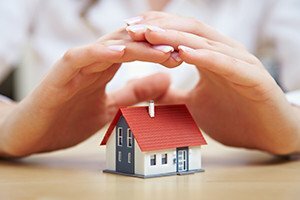 Insuring your home is a prudent way for you to protect your investment. If your property is damaged, homeowner’s or renter’s insurance provides a way for you to address any unexpected losses or costs. You should understand the terms of your policy and what it covers in the event that your home is damaged. The real estate attorneys at Pulgini & Norton advise homeowners in and around Boston on the terms of their insurance policies and how to enforce their rights. You can protect your home or condominium from fire, natural disasters, and other damage by insuring your property. If it is harmed, insurance can help you pay for any repairs or even help you replace the property or other valuables inside your home. Depending on the type of insurance you buy, you can protect yourself from unexpected financial costs associated with certain types of damage. An insurance policy is a contract between you and the insurer. You pay a premium to the insurer in exchange for its promise to pay you for any losses covered under the policy during its term. In most cases, an insurance policy is for a one-year period, and you will need to renew the policy to continue receiving coverage. You will also need to choose the level of your deductible, which is the amount you are responsible for paying for a claim. In most cases, the higher your deductible, the lower your premium. You can get insurance by reaching out to various insurers and seeing what kind of coverage they offer. An insurer will want to review information about you and your property before it issues you any coverage. While insurers can consider a variety of factors when deciding whether to provide, renew, or cancel a homeowner’s insurance, Massachusetts law forbids them from taking race, gender, marital status, and certain other factors into consideration. Your insurer may cancel your policy within 60 days from when it was first issued. After the 60-day period, however, Massachusetts law gives an insurer the right to cancel the policy only under limited circumstances. These include failing to pay the premiums, obtaining the policy through fraud or misrepresentation, or being convicted of a crime or engaging in reckless behavior that increases hazard under the policy. Your insurer must provide sufficient notice of cancellation, but if the cancellation is based on non-payment of premiums, it only needs to provide you with a minimum of 10 days written notice. If the insurer decides not to renew your coverage, it must provide you with at least 45 days written notice before the policy expires. Massachusetts law does not require that homeowners insure their property, but if you have a mortgage, your lender may require that you carry it. For example, a lender may not commit to a mortgage or refinancing unless you purchase and maintain insurance on the home. Your loan agreement may include an acceleration clause, which requires that you pay back the entire loan if certain conditions are met. The acceleration clause may be triggered if you fail to pay or drop your insurance. Your lender, however, cannot require that you get insurance from a particular insurer. At Pulgini & Norton, our residential property transaction lawyers offer counseling to Boston homeowners and prospective buyers who want to insure their homes. Our lawyers can review your insurance policy and explain your rights. If your home was damaged, we can discuss what types of losses the insurer will cover and help you assert your rights under the policy. We represent clients in Quincy, Somerville, and Braintree, as well as other Massachusetts communities. Give us a call today at 781-843-2200, or contact us through our online form to schedule a consultation.